The biggest night in TV history is almost here. The 2016 Emmys will air on ABC on Sept. 18, and, in addition the buzzed-about nominees (The People v. OJ Simpson! Ellie Kemper! Emilia Clarke! ), one thing to be very excited about are the list of presenters. 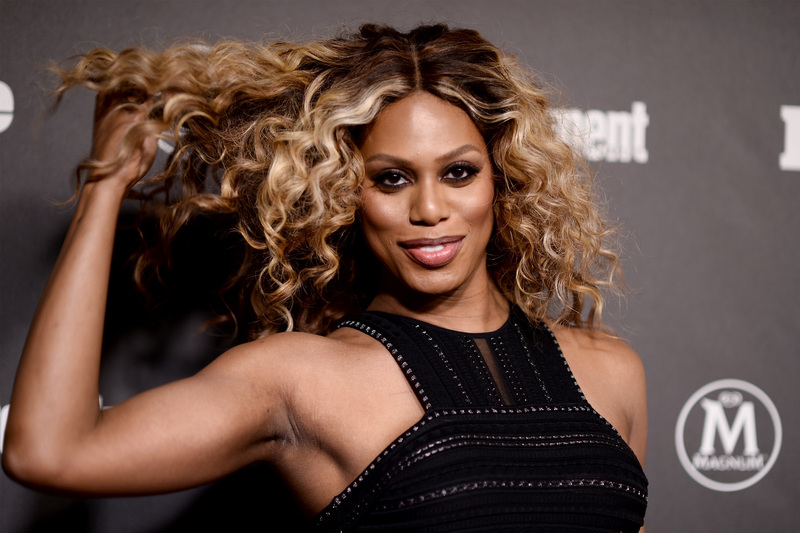 As reported by Variety, Laverne Cox will present at the 2016 Emmys, which makes sense given her highly-praised role on Netflix's dramedy Orange Is The New Black. Though Cox is already a streaming series favorite, it's not her only TV role. Cox is starring in Fox's Rocky Horror Picture Show, and when Fox's Rocky Horror premieres, she'll have a whole new character out there for fans to rave about. Though impatient fans who wanted to see an updated version of the "Time Warp" like, yesterday, won't like it, we'll see Cox at the 2016 Emmys on Sept. 18 before we see her donning a corset and fishnets for her turn as Dr. Frank-N-Furter in Rocky Horror. Fortunately, Fox's remake of the 1975 cult classic will hit the small screen soon enough, as the new film will premiere on Oct. 20. From the look of the new trailer, it will be an updated version of the midnight flick while still paying homage to the original we know and love. It's hard to step into the heels of Tim Curry, who brought the Frank-N-Furter to the big screen in the '70s, but, if there's one actress who can crush the party, it's Cox. As evidenced by her killer vocals at her karaoke session with Serena Williams (casual), Cox can seriously sing — perfect for the musical that will require her to tackle multiple solo songs. Of course, it's hardly just her voice that makes her a great choice for the role: she's is one of the most charismatic actresses out there, which is something that not every skilled vocalist can say. I can't wait to see Cox strut her stuff when she takes over Curry's iconic role for Fox's remake. But, until then, I'm looking forward to seeing how she slays when she takes the stage as an Emmys presenter.